Just an Average Mormon: How Has Your Mission Influenced Your Life? Roughly a year ago, President Thomas S. Monson announced a lower age requirement for LDS missionaries. 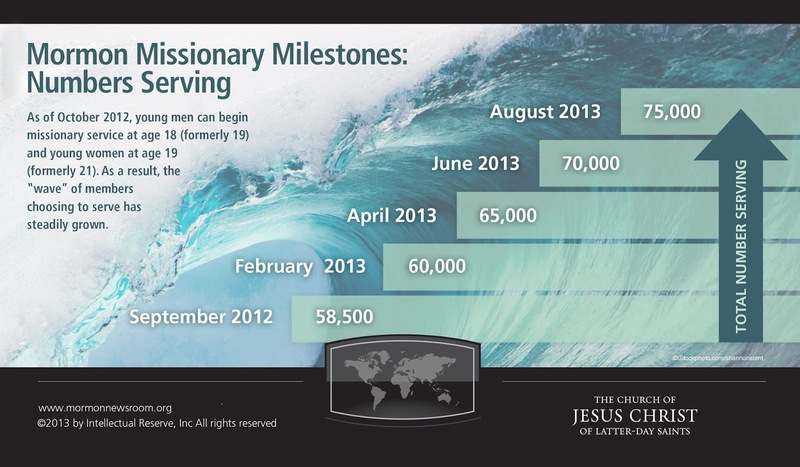 This was a ground-breaking announcement and since, the number of people wanting to serve missions has increased tremendously. Those who have served missions have seen their blessings come into their lives. Paige Furr shared about her mission, "I loved my mission. It was hard. So hard! And miracles hardly ever happened the way I expected them to, but The Lord has everything in control. I've seen that more and more as I keep in touch with wonderful people from my mission and see how the gospel has touched their lives. I didn't have any baptisms, but I know that I helped people because The Lord prepared me and them to have the experiences that we did. I still pray that I made more of an impact than I saw, but the biggest impact was on me. I met people who have helped me be a better person, daughter, sister, wife, etc... And I learned how to better trust in the Lord's timing and plan. The relationships that I formed on my mission are eternal and the relationship that I have now with my Heavenly Father and Jesus Christ is so much stronger." Holli Young added, "It changed me to the core. It changed my relationship with God, deepened my understanding of gospel truths. It has influenced every important decision I have made in my life (My marriage, education, having babies, and parenting). I have a greater reliance on the spirit everyday. I also learned to be patient with my mistakes and shortcomings because God loves me. He knows I'm a work in progress." Storie included, "I only served in my mission for 6 months. I did not have any baptisms. But I can say that my mission allowed me to experience some really hard situations that eventually lead me to my career. Without my mission I am not sure I would have found my niche in life. I truly believe I had to experience those things to figure out what I was put on Earth to do. It was kind of like I had to serve a church mission to figure out what my Earth mission was. It was so difficult, but so worth it." How has serving a mission influenced your life? Where did you serve? What was one thing you learned while serving? What blessings have you noticed come into loved-ones lives who have served missions?